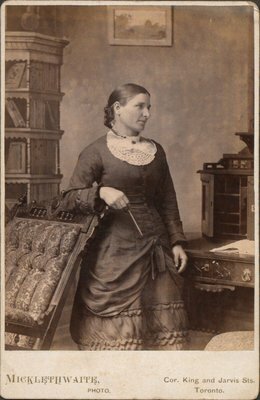 A photograph of an unknown woman, presumably wife of William Walker. Cor. King and Jarvis Sts.